Awards : Hugo Award for “Best All-Time Series” in 1966. Isaac Asimov is widely considered a master of hard science fiction and, along with Robert A. Heinlein and Arthur C. Clarke, he was considered one of the “Big Three” science fiction writers during his lifetime. Asimov’s most famous work is the Foundation Series, his other major series are the Galactic Empire series and the Robot series. The Foundation series won the one-time Hugo Award for “Best All-Time Series” in 1966. The Foundation is highly recommended to anyone who admit that they have a keen interest in sic-fi. 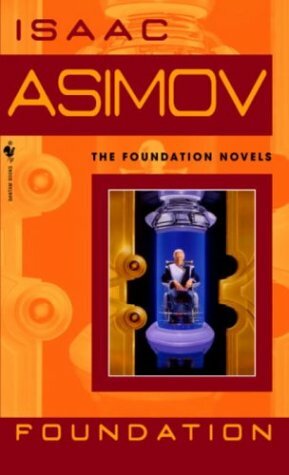 The foundation series is considered as greatest science-fiction novels ever written, these novels are not recommended for those who are only mildly interested in sicience-fiction. If you are new to sci-fi genre, start with something lighter and once you are comfortable with the genre then you can start with this series. Foundation was originally a series of eight short stories published in Astounding Magazine between May 1942 and January 1950. The first four stories were collected, along with a new story taking place before the others, in a single volume published by Gnome Press in 1951 as Foundation. The remainder of the stories were published in pairs by Gnome as Foundation and Empire (1952) and Second Foundation (1953), resulting in the “Foundation Trilogy”, as the series was known for decades. The novel is set in far future where humans have scattered across the milk way galaxy and inhabited the all life supporting planets and ruled by Galactic Empire. The premises of the series is that mathematician Hari Seldon – has developed a mathematics known as psychohistory, a concept of mathematical sociology. Using the laws of mas action – psychohistory can predict the future but only on a large-scale. It works on the principle that the behavior of a mass of people is predictable if the quantity of this mass is very large (equal to the population of the galaxy, which has a population of quadrillion of humans, inhabiting millions of star systems). The larger the number, the more predictable is the future. Using psychohistory Seldon predicts demise of the galactic empire and creates a plan to save the knowledge of human race in huge encyclopedia knows as encyclopedia galactica and also he creates a plan to minimize the barbaric period expected to follow the demise of empire from 30,000 years to 1,000 years. He establishes the foundation on planet Terminus with selected few to write encyclopedia galactica and to carry out the His secret plan. 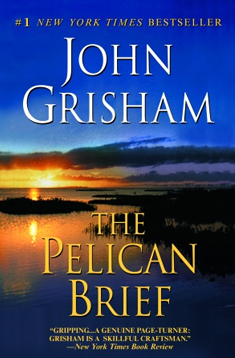 The main focus of this novel is not character development so you won’t find much in terms of character development in this novel. The novel is divided into five parts namely The Psychohistorians, The Encyclopedists, The Mayors, The Traders and The Merchant Princes. Each part introduces set of new characters and each part deals with the progress of foundation in terms of encyclopedia galactica and carrying out the secret plan of Hari Seldon. Hari Seldon is the only person who appears in all five parts. Every time foundation faces some crises (know as Seldon Crises), a vault is opened automatically and Hari Seldon’s pre-recorded video is played in which Seldon will provide the solution for present crises and future course of action for foundation. “The whole war is a battle between those two systems; between the Empire and the Foundation; between the big and the little. To seize control of a world, they bribe with immense ships that can make war, but lack all economic significance. We, on the other hand, bribe with little things, useless in war, but vital to prosperity and profits.” – Foundation.